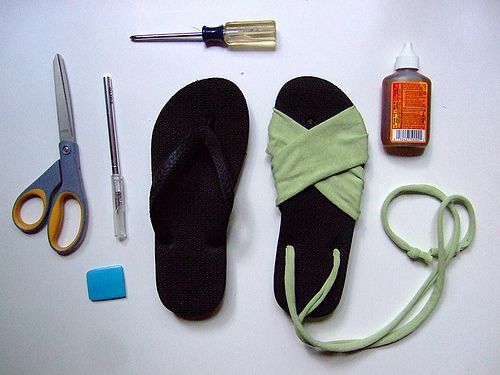 Make your own sandals! Kathrin put together a wonderful tutorial on how to refashion old flip flops into classy, one-of-a-kind sandals. Definitely something to try! Do flip flops make your toes curl? Reinvent that soft sole with a fabric twist.